Dr. Ananda is one of our amazing guest writers. He is the chairman of the ICYER (International Centre for Yoga Education and Research) Ananda Ashram in Pondicherry, India. You can find more information about him in our guest writer post or on his websites: www.icyer.com, www.rishiculture.org. Yoga as a mode of therapy (yoga chikitsa) has become extremely popular, and a great number of studies and systematic reviews offer scientific evidence of its potential in treating a wide range of psychosomatic conditions. Yoga understands health and well-being as a dynamic continuum of human nature and not merely a ‘state’ to be reached and maintained. Yoga helps the individual to establish sukha sthanam, which may be defined as a dynamic sense of physical, mental, and spiritual well-being. Yogamaharishi Dr Swami Gitananda Giri Guru Maharaj, the visionary founder of Ananda Ashram at the ICYER (www.icyer.com) and one of the foremost authorities on Yoga in the past century exclaimed lucidly, “Yoga chikitsa is virtually as old as Yoga itself, indeed, the ‘return of mind that feels separated from the Universe in which it exists’ represents the first Yoga therapy. Yoga chikitsa could be termed as “man’s first attempt at unitive understanding of mind-emotions-physical distress and is the oldest wholistic concept and therapy in the world.”To achieve this Yogic integration at all levels of our being, it is essential that we take into consideration the all encompassing multi dimensional aspects of Yoga that includes the following: a healthy life nourishing diet, a healthy and natural environment, a holistic lifestyle, adequate bodywork through asana, mudra-bandha and kriya, invigorating breath work through pranayama and the cultivation of a healthy thought process through Jnana Yoga and Raja Yoga. The International Association of Yoga Therapists (IAYT), USA has taken this idea into account in defining Yoga therapy as follows: “Yoga therapy is the process of empowering individuals to progress toward improved health and well-being through the application of the philosophy and practice of Yoga”. This has been further elaborated by the IAYT in its “Recommended Educational Standards for the Training of Yoga Therapists”, published on 1 July, 2012 (www.iayt.org). This, in my opinion, is the best document on standards in Yoga Therapy and is a path breaking effort covering comprehensively all aspects of Yoga as a holistic therapy. In India Yoga Therapy is under Dept of AYUSH in Ministry of Health and Family Welfare and MDNIY is the National Institute of Yoga run by the Govt of India (www.yogamdniy.nic.in). Morarji Desai National Institute of Yoga (MDNIY) is an autonomous organization registered under the Societies Registration Act, 1860 and fully funded by Department of AYUSH, Ministry of Health & Family Welfare, Govt. of India. The therapeutic potential of yoga has been recognized world over and studies have shown its beneficial effects in numerous psychosomatic disorders like diabetes, hypertension, asthma, arthritis and other chronic diseases that are a great burden on our health care delivery system. Central Council for research in Yoga and Naturopathy is also functioning under the Ministry of Health and Family Welfare (www.ccryn.org). they are funding many research studies in yoga in India and also running a National Programme on Yoga and Naturopathy at present. We are today faced with numerous debilitating chronic illnesses related to aging, environment, and a hedonistic lifestyle, such as cancer, diabetes, osteoporosis, and cardiovascular diseases as well as many incurable diseases such as AIDS. 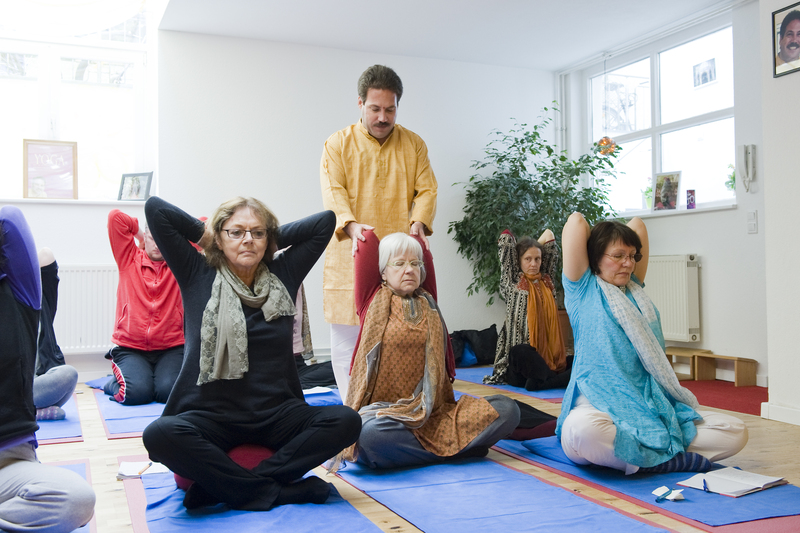 Modern medical advancements provide the rationale for the integration of various traditional healing techniques including Yoga to promote healing, health, and longevity. According to Dr B Ramamurthy, eminent neurosurgeon, Yoga practice re-orients the functional hierarchy of the entire nervous system. He has noted that Yoga not only benefits the nervous system but also the cardiovascular, respiratory, digestive, endocrine systems in addition to bringing about general biochemistry changes in the yoga practitioners. Yoga is an in-depth, holistic, science of man and indeed the only science that deals simultaneously with all aspects of the philosophy, psychology and practicality of conscious evolution. While modern science tends to look outward through an experimental model, the science of Yoga enables us to search the depths of our own self, thus realising the ultimate truth through an experiential model. This body of knowledge gained through intense, systematic, introverted investigation into the workings of the human mind has been handed down from master to disciple through millennia. It is imperative that advances in medicine include the holistic approach of Yoga to face the current challenges in health care. The antiquity of Yoga must be united with the innovations of modern medicine to improve quality of life throughout the world. While modern medicine has a lot to offer humankind in its treatment and management of acute illness, accidents and communicable diseases, Yoga has a lot to offer in terms of preventive, promotive and rehabilitative methods in addition to many management methods to tackle modern illnesses. While modern science looks outward for the cause of all ills, the Yogi searches the depth of his own self. This two way search can lead us to many answers for the troubles that plague modern man. It is suggested that a two way integration of the experimentally tempered modern science with the experientially modeled science of Yoga can lead us to many answers for challenges plaguing modern humankind such as debilitating chronic illnesses related to aging, environment, and a hedonistic lifestyle. Modern medical advancements provide the rationale for the integration of various traditional healing techniques including Yoga to promote healing, health, and longevity. It is imperative that advances in medicine include the holistic approach of Yoga to face the current challenges in health care. The antiquity of Yoga must be united with the innovations of modern medicine to improve quality of life throughout the world. The need of the hour is for a symbiotic relationship between Yoga and modern science. To satisfy this need, living, human bridges combining the best of both worlds need to be cultivated. It is important that more dedicated scientists take up Yoga and that more Yogis study science, so that we can build a bridge between these two great evolutionary aspects of our civilization. Yoga is all about becoming “one” with an integrated state of being. Yogopathy, in contrast, is more about “doing” than “being”. When viewed from this holistic perspective, Yoga can never really ever be an intervention. This role must be left to Yogopathy. We, as Yoga practitioners, teachers, researchers, and therapists, must make a sincere and determined attempt to strengthen that one important link in the chain of Yoga– the link of our personal, ‘every moment sadhana’. This is imperative, for the very strength of the ‘Chain of Yoga’ depends on it. We owe it not only to ourselves as evolving human beings; we owe it to Yoga as well. Read more from Dr. Ananda in his article “Yoga in the Modern World“. There is a modern trend found everywhere nowadays. It seems like anyone who just attends a Yoga class can call themselves a yogi. There was even a recent article that said matter of fact, “Those who practice Yoga are known as Yogis”. Many years ago, Swamiji and Ammaji were returning after a long world tour and decided to make a list of the ten top yogic personalities they had met on that long tour. At the end of the whole exercise, it was most surprising to find that not even one of the top ten were “practicing yogis”!! Traveling all over the globe in recent years has given me the privilege of experiencing both the similarities and dissimilarities between the East and the West. 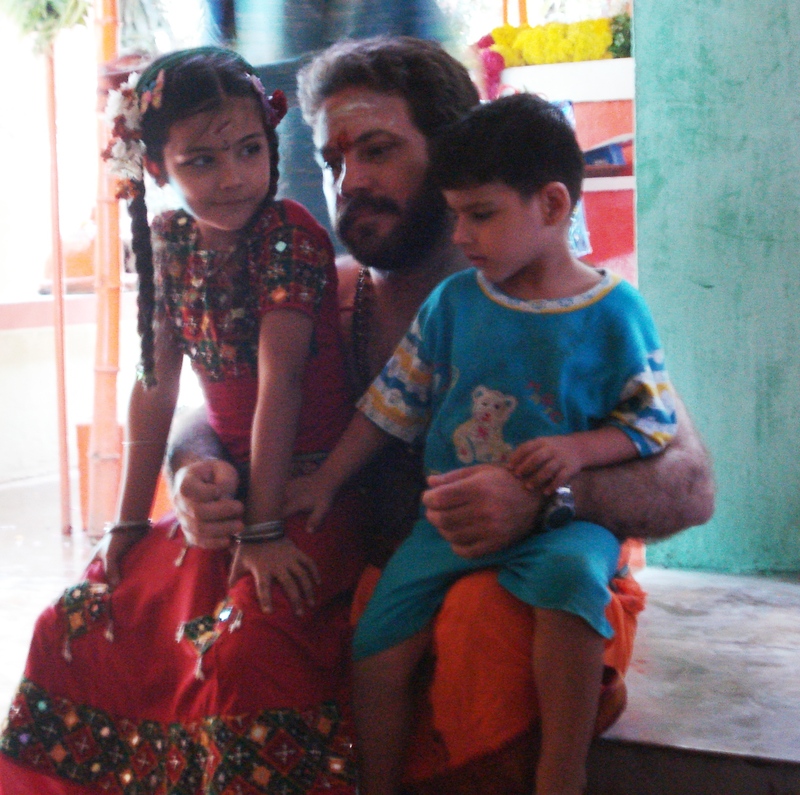 I grew up in the Ananda Ashram and having been exposed to students belonging to a multitude of nationalities I thought I knew all about them. Yet, I have now realized, one needs to experience a dolphin in the water and not on the dry ground if one is to know it truly. I have also come to know that many sharks abound too! I have also had the chance to be “up to date” on all modern Yoga news thanks to the numerous Yoga journals that come to us from every part of the globe in exchange for Yoga Life, the wonderful monthly journal of our ashram that is now in its 42nd year of publication under the excellent editorship of Ammaji. The general impression one gets from most Yoga magazines is that the west is only interested in the physical aspects of Yoga or take to it as a fancy that lasts not too long. I have however found that my experiences in the west have been quite different! I have found that there are many sincere seekers who desire the ‘real thing’ and some who have imbibed Yoga into their very essence. Generally Indians seem to have Yoga built into their genes whether they know of it or not. Scratch any Indian and you will find a Yogi hidden inside. However we take our cultural heritage for granted and will not appreciate ‘that’ which is right in front of us. We lack a sense of discipline and easily fall back on the crutch of ‘it’s my karma’. On the other hand, I find western Yoga students more disciplined and capable of greater intellectual analytical understanding. Yet, they are handicapped by the lack of a typical Indian understanding of universal connective-ness and don’t have the benefit of cultural concepts that have been around for thousands of years. Ultimately a good student transcends every barrier and every limitation and I have wonderful students and members of my Yoga family from every corner of the globe today. A few years ago I was invited to present at the International Yoga Therapy Conference in the USA and had the chance to interact with great American Yoga teachers such as Larry Payne, Rama Jyothi Vernon and the eminent researcher Dr Sat Bir Singh Khalsa. It was also a pleasure to meet the famous personalities of Yoga such as Mukunda Stiles, Nina Priya and Amy Weintraub who are amazing human beings. I had one of those very special astonishing experiences during the first panel presentation when Larry Payne who was to speak got up from the panel and invited me to come and take his place and share my views instead. I was blown off my feet with that magnanimous gesture that I would have never expected anywhere in the world and it was happening right here in the USA! Larry set the stage for a successful conference with that heartfelt gesture that I will treasure for my whole life. I hope that I will be able to do the same for others in the future as it propelled me to do my best in all ways possible. All in all I can only describe my American experience as a magical one that enabled me to see that there are sincere people on the Yoga path willing to see the grandness of Yoga. I was also recently invited to be major presenter at the “Reunion in Yoga”- IYTA World Yoga Convention held at Sydney, Australia in September 2010 with nearly 200 delegates attending the convention held after a gap of 13 years. It was something special to note that previous such special invitees have been Swami Satyananada Saraswathi, Swami Gitananda Giri, Swami Satchitananda, BKS Iyengar, Andre Van Lysbeth, Lilias Folan, Howard Kent, Mansukh Patel and Swami Maheshwarananda. It was a truly lovely experience to meet and interact with so many loving souls who were motivated by the ‘real thing’. Personally it was such an honor to be invited as the Major Presenter at the convention and share the stage with eminent personalities representing Yoga ‘down under’. It was indeed a pleasure to meet and interact and exchange views with such loving people like Wendy Bachelor, Leigh Blashki, Louise Wiggins, Margo Hutchison, Trish Brown, Michael de Manincor, Anne Nakhoda and Mary- Louise Parkinson. We met so many wonderful people and the love, respect and attentiveness of all participants moved us greatly. It was a joy to share with such human beings and, ‘Do your best and leave the rest” became a household word for us all. What I have understood from all these experiences is that there are sincere Yogis and Yoga Sadhakas everywhere in the world and that we must not label the East or West either as good or bad. Instead we need to work on imbibing the best of the East and the best of the West in a true yogic integration. If you liked this article or have any questions or comments – we would love to hear from you. Please comment below. Our yoga day started at 9AM at the ICYER (International Centre for Yoga Education and Research) in Pondicherry. Coni, our photographer, took some pictures of the teacher training students during their yoga session. We also had the honour of having an interview with Amma , ICYER’s guru, which was just amazing. Afterwards, we’ve visited the Samadhi place of Swami Gitananda. We finished the day with our feet into the waters of the Bay of Bengal, before leaving tomorrow early morning to Tiruvannamalai.